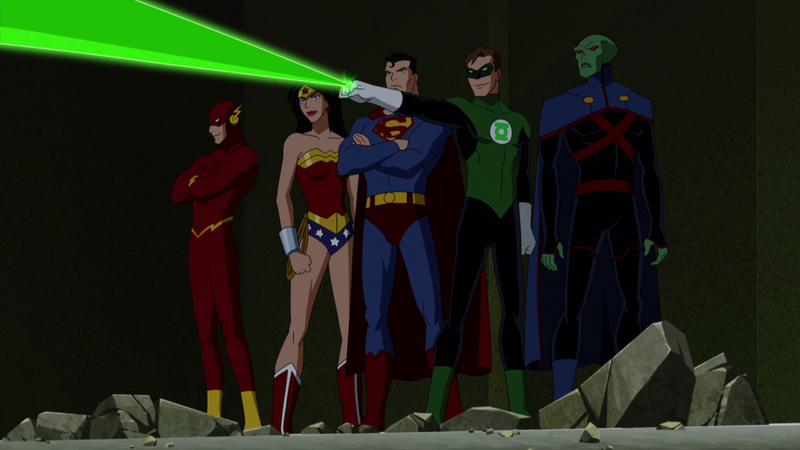 2012’s DC Universe direct-to-video animated feature Justice League : Doom is a prime example of what I’m talking about, and since I’d heard about the movie’s supposed “surprise” going in, I was pretty well underwhelmed by the longer-than-these-things-usually-run-for 75 minutes of the film as a whole, which is probably going to result in me giving it a somewhat more tepid review than perhaps it deserves — unless, of course, it does deserve it precisely because it offers so little apart from the “gotcha!” moment we’re talking about here. 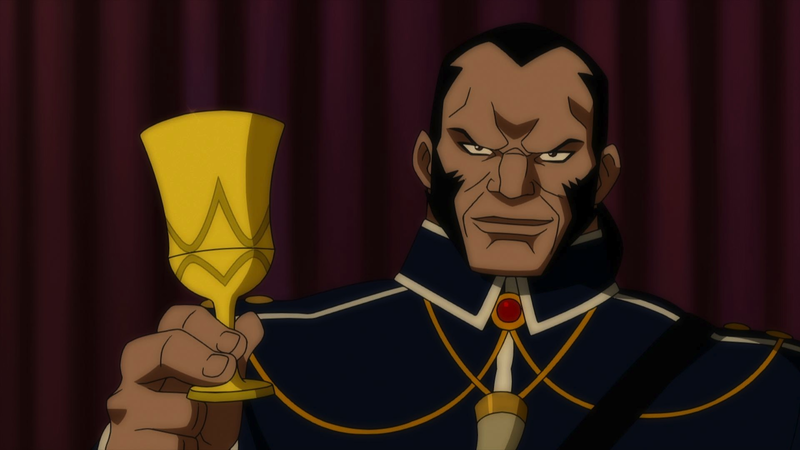 So here’s what I can give you as far as plot rundowns go while still preserving the big secret : second-tier villain Vandal Savage (who’s always struck me as being a kind of low-rent Ra’s Al Ghul, only with a name that would make him a better adversary for Conan The Barbarian — voiced here by a guy name Phil Morris who is, I’m assuming, not that Philip Morris) has assembled the ol’ gang of fellow also-ran baddies like Mirror Master (Alexis Denisof), Cheetah (Farscape‘s Claudia Black), Bane (Carlos Alazraqui), Metallo (Paul Blackthorne), and Star Sapphire (Olivia d’Abo) to take on their adversaries in the Justice League (here featuring the vocal talents of Kevin Conroy as Batman, Tim Daly as Superman, Susan Eisenberg as Wonder Woman, Michael Rosenbaum as Flash, Bumper Robinson as Cyborg, Carl Lumbly as Martian Manhunter, and Firefly/Castle fan favorite Nathan Fillion as Green Lantern) one last time — and I say “last” because our guy Vandal has finally learned each member’s individual weaknesses and has devised a (stop me if you’ve heard this one before) cunning master plan to bring ’em all down. Sound interesting? That’s the problem — in and of itself, it’s really not. But where and from whom he got all this top-secret info , not to mention why they even had it in the first place — now, that’s interesting. And that’s the point at which I dutifully STFU. 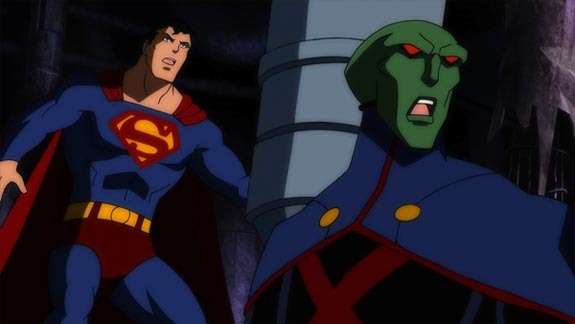 As you can probably tell from the run-down I just gave, voice director Andrea Romano has assembled an intriguing collection of newcomers and returning veterans in these roles (my bad, I forgot to mention frequent DCU voice actor GreyDeLisle turns up here as Lois Lane in my earlier cast run-down, but since she’s neither a hero nor a villain but is, instead, one of the few genuine side characters in this flick, where was I supposed to put her? ), and they all do a nice job, as does the film’s director proper, Lauren Montgomery, who keeps things moving along at a brisk little pace, but it’s really not enough to save a milquetoast plot that absolutely hinges on a lone, albeit quite cool, contrivance. 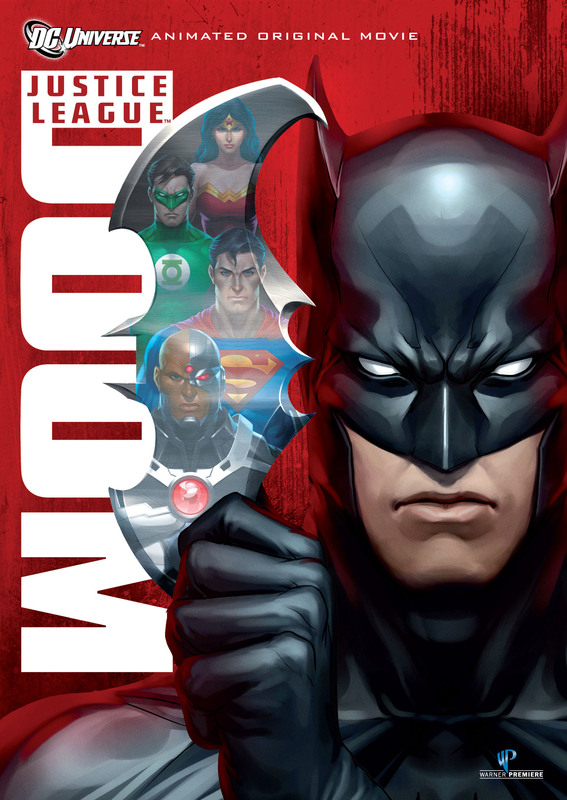 Justice League : Doom is definitely worth a look if you don’t know anything about it going in, and maybe worth at least a disinterested look even if you do, and should you decide to go ahead and do so it’s available on both DVD and Blu-Ray from Warner Premier. I got the DVD from Netflix and found it to be, as is par for the course with these DCU titles, free of extras apart from promo stuff for other movies in the range, but I’m sure the Blu-Ray has a few goodies not found elsewhere. The widescreen picture and 5.1 sound mix are, as always, top-notch. So that’s the book on this one, then. Perhaps not the most informative review you’re likely to find about it, but trust me — the less you know, the more you’re apt to like it.